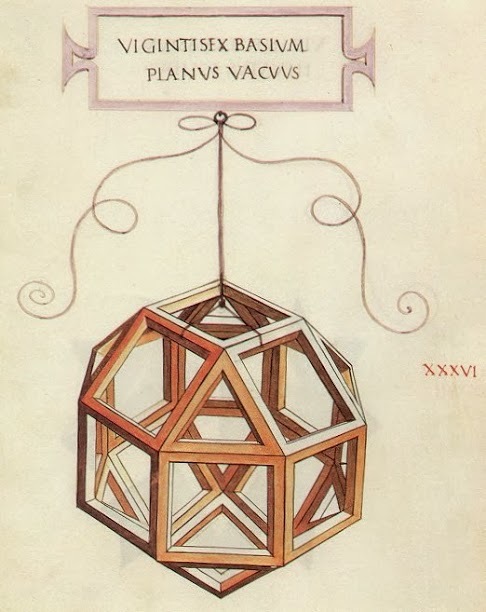 In 1498 Leonardo da Vinci was working as a painter and engineer for the Duke of Milan. 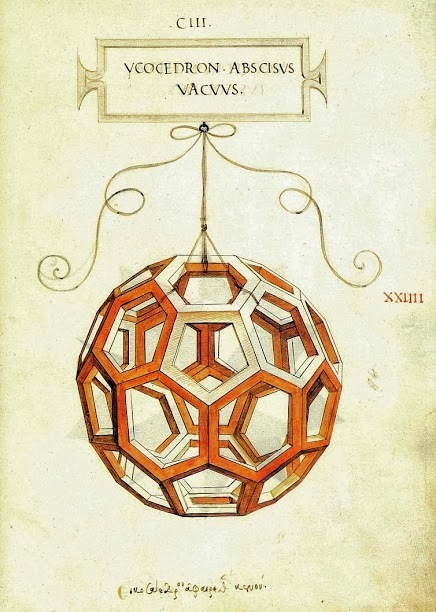 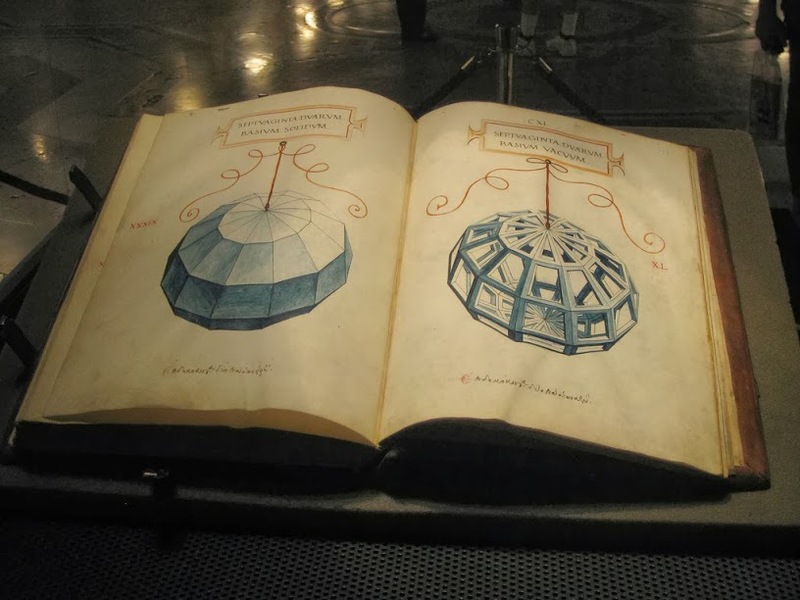 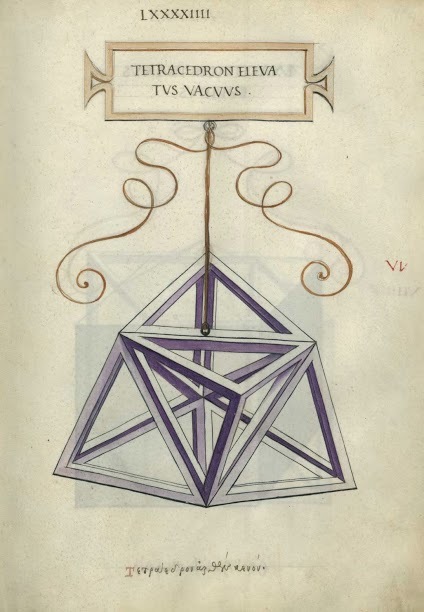 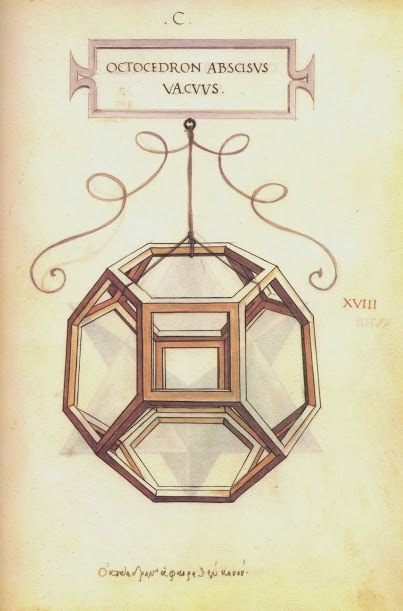 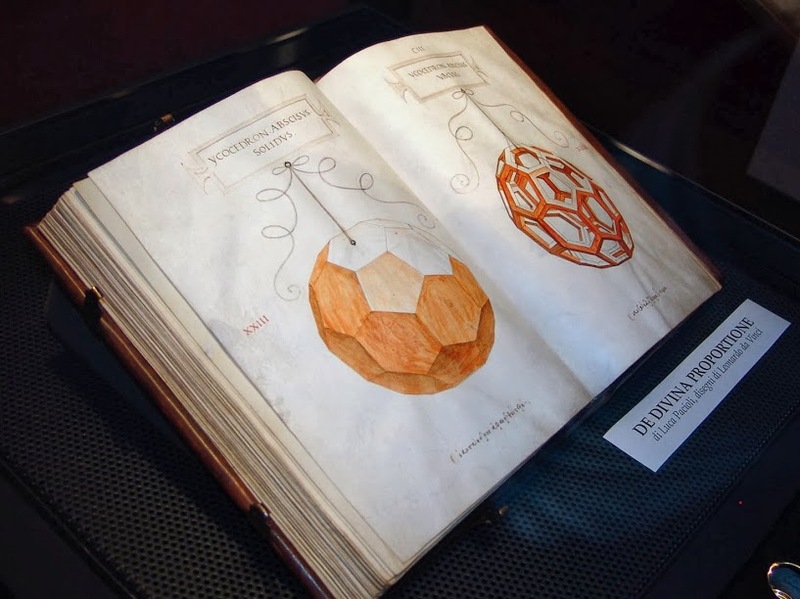 At the same time, he was taking math lessons from his friend and roommate Luca Pacioli, who was writing De Divina Proportione, a book about geometry and proportions in math and arts. 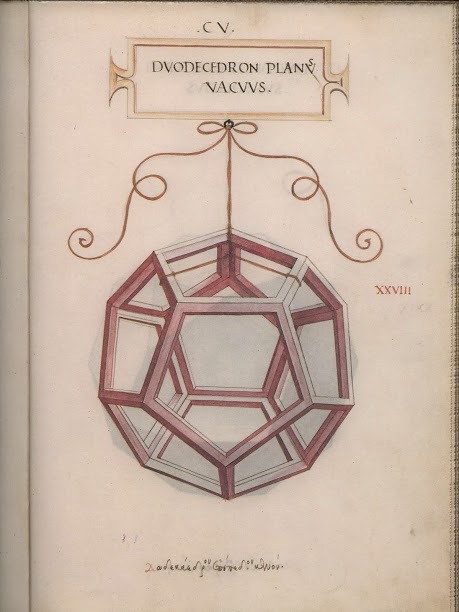 Pacioli’s De Divina Proportione (1509) became a highly influential book for architects and artists, and it remains one of the most significant works in the long history of the relationship between math and art, a relationship that has produced some of the most beautiful architecture, painting, and music in the west.